Sad to say but this is the last breakfast service at Barkers - the good news is that it will resume closer to summer. 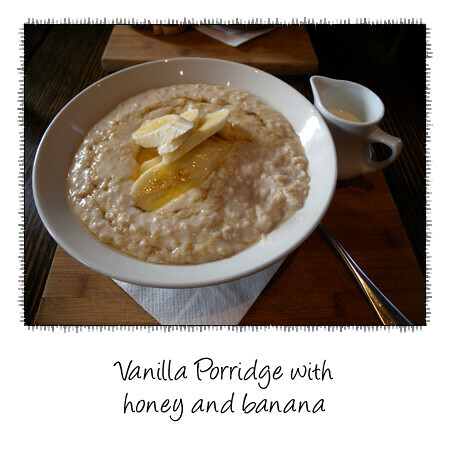 This is probably my favourite porridge - it's creamy, thick and rich with that lovely underlining flavour of vanilla. 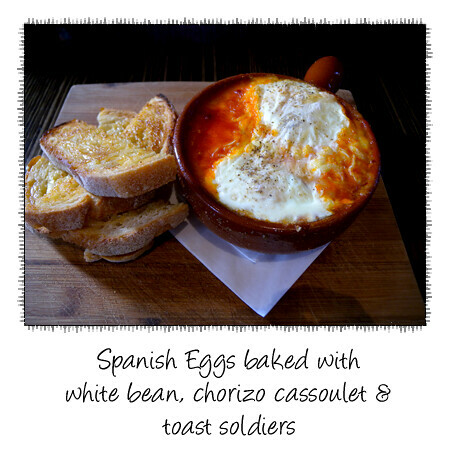 Just look how lovely and gooey those eggs are! 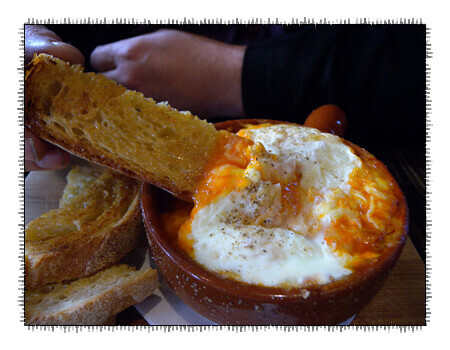 The chorizo is well spiced and meaty, the beans still have a little bite and it's all bound by a rich tomato sauce. Just a quick note about the barkers website. I don't know which creative genius is behind it but you really need to get rid of that absolutely annoying dog barking sound you get every time you click - that is so geocities it's not funny.